"Its been missing for 100 years…" Shall we go searching for Thomas Edison's "last" invention? The Spirit Machine is an excellent low budget fantasy adventure short film made by filmmaker Timothy Plain. The story is about a father and daughter who go on a search for a long, lost turn-of-the century Edison device (called The Spirit Machine). There's an impressive amount of backstory to this, and a good introduction that makes it captivating to follow as it plays out. Starring Andrea Ferreyra and Will Springhorn Jr. This has been described as "Indiana Jones meets The Prestige", and inspired by 80s classics like Raiders of the Lost Ark and Poltergeist. It's not perfect, but I admire the ambition and the VFX are great. Fire it up below. Short description for The Spirit Machine originally from Vimeo: "After discovering the final resting place of Thomas Edison's last invention, a desperate, out of touch father and his teenage daughter must work together to solve a series of traps built to prevent them from reaching a secret chamber." 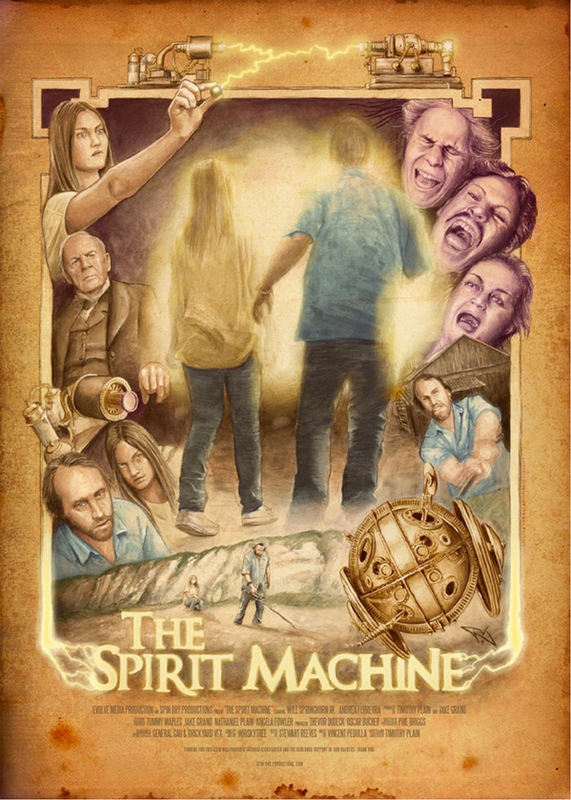 The Spirit Machine is both written and directed by up-and-coming filmmaker Timothy Plain (follow him @TimothyPlain / or visit his official website). Featuring music by Vincent Pedulla. The short film was inspired by 80s classics like Raiders of the Lost Ark and Poltergeist. It was successfully funded on Kickstarter back in 2012. You can see more of Timothy Plain's film work on his Vimeo. To see more shorts click here. So what did you think?